As the Easter half-term got into full swing, Racing to School was as busy as ever through some great events as part of our Riders’ Programme. 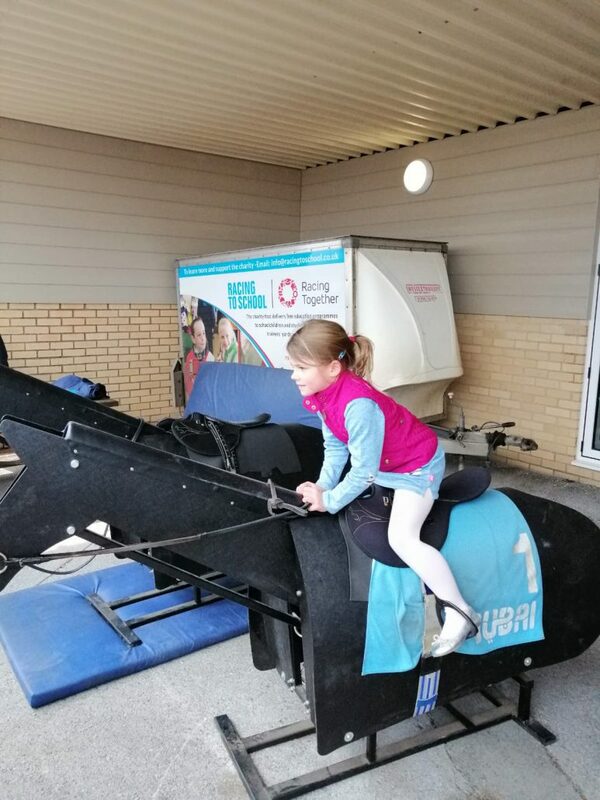 This initiative, which is run in conjunction with the Pony Club and the BHA’s Careers in Racing team, aims to introduce young people with an interest in horses to the sport of racing and the career opportunities it offers. We also work directly with parents who really appreciate some great opportunities to keep the kids busy during half-term! 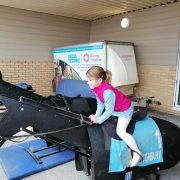 The Easter break got off to a flying start, with a record 60 parents and children joining us at Windsor Racecourse on 8th April, while on the same day over 40 attended a similar event at Kelso. We have also had activity days at Exeter, Fontwell Park, Pontefract and Newmarket, with planned events also at Ripon and Cheltenham – which when combined will have engaged over 500 young people and their parents. Last year, we had two known stories of Riders’ Programme graduates going on to work in the industry, and hopefully more young people will be inspired from their involvement in the programme over the last couple of weeks. We are very grateful for the support of The Racing Foundation, which has agreed to part-fund the programme over the next three years, allowing us to commit to growing this popular careers-focussed activity. If you or your children are interested in taking part in one of our Riders’ events, please feel free to get in touch on info@racingtoschool.co.uk.